For centuries, Diplomacy and its related concepts (e.g. Economic and Commercial Diplomacy) have been considered as a set of tools and techniques used only by the elites of this world to communicate and negotiate solely issues of state. There have been important moments during our existence on this Earth when, for the greater good and evolution of our civilization, certain “know-how” has been transferred down from a “higher level” in order to help some paradigms move to the next stage of sustainable development. Referring to the transfer of Diplomatic knowledge to Business, we may say that this process has already begun since such techniques are already being applied by Multinationals in particular, as leaders of globalization. There is a need for a global ethical approach to such transfers and applications, especially considering that in small countries with week institutions the Multinationals will be the first to take advantage in front of the local companies, from such know-how transfer. And that may have a negative impact on working conditions, environmental standards and employment practices which will lead to conflicts that can destroy the multinational’s reputation. Business Diplomacy is the way that international business uses the diplomatic know-how and the Commercial Diplomacy’s resources, to achieve its business goals in the home or host country. We wish these goals to be equitable, sustainable, achieved on an ethical way and for all parties benefit at a global scale, but just including those values in a definition do not give any guarantee that will be taken into consideration by most of the international business people. Commercial Diplomacy’s resources such as high level of contacts developed by skilled diplomats in both home and host country, public promotion tools at a reasonable cost and communication channels, reputation and trust factor, intelligence and pure market information centralized for a historical period, are few of the main needs for a company to go international with less risks and at a decent costs. Are International Diplomats ready to share in an organized way some of their knowledge and resources with all the business stakeholders? Because, if this Pandora’s box will be opened, we shall be ready to deliver something that will produce positive effects for all involved parties, on a global scale. Business Diplomacy shall define and require a high level of standards, to be respected by the future Business Diplomats. Successful commercial diplomacy gains access to new markets and serves the home country economy, and the idea that successful international business is just a matter of a clear business strategy and good business management is naive and outdated. International business is conducted together with governments and international and societal organizations (Lawton & McGuire, 2001). Commercial Diplomacy is definitely a source of inspiration and resource for the development of the Business Diplomacy concept. Business Diplomacy cannot develop without Commercial Diplomacy. Commercial Diplomats and Business Diplomats need each other. Commercial diplomat’s success is measured also by the success of the international business they created in relation with the host countries. But for that to happen, the businessmen have to deliver results as per all parties’ expectations. When being introduced and supported by a commercial diplomat to enter a new international market, Business People need more than ever to reach a high level of international business practice and use diplomatic ways of acting in a foreign territory. Otherwise the Commercial Diplomat’s activity was in vane and the relationships and resources they use may be compromised. In order to expand, International business definitely needs support from the diplomatic level and access to the diplomatic specific resources (as mentioned above – high level of contacts in both home and host country, public promotion tools at a reasonable cost and communication channels, reputation and trust factor, intelligence and pure market information), but at the same time the international managers need diplomatic capabilities in order for the internationalization process to succeed and be sustainable on a long term. A closer collaboration between diplomats as state representatives and their home country national business leaders interested to gain access and expand in new foreign markets or looking for international business partners to develop national projects is a key for success. But for a businessman to succeed in this respect on a long term, it is not enough to be introduced and supported by a diplomat. International business people need to cooperate with diplomats and get an infusion of know-how in the view of developing their own diplomatic know-how and capabilities, which can be successfully combined with the business knowledge. International business people need to be able to communicate and represent themselves in order to do business in a host country. Diplomats promoting businesses both ways during their foreign service but also after that, is not something new. In order to perform in the promotion of home country business abroad, diplomats need to be updated – during their stay in the host country, with the evolution of the business environment in their country of origin. For that, diplomats need a close contact with the business community in both countries. From the perspective of the human factor’s role in internationalization, I may appreciate that the diplomats are the one to “transfer” resources to a businesses looking to go global. However, looking to the future, and considering the recent role of technological change generated mainly from the private sector, digitalization of almost everything, the development of private innovative digital business platforms that gives access to complex business intelligence at one click, and in the context of lower governmental budgets allocated for international development, the private companies may also offer to diplomats cost-effective access to information. On-line digital business platforms can instantly facilitate nowadays to a company that pays an annual subscription of about Euro 5,000, access to one-to-one communication and introduction to ten thousand qualified investors and verified business partners all over the world, and that is a precious resource that a commercial diplomat cannot offer it. Diplomats need business people and vice-versa, and there is a need to develop the cooperation between diplomacy and international business. In some circumstances, the opinion of a well-known international businessman may have at least the same importance as of a diplomat one. International business people need to be aware of their statements and responsible for their actions as they can represent models. Cooperation between diplomacy and business is a key for the success of globalization. One without the other will increase the costs for both party’s activity, and that will be found in consumer prices. The companies do not easily share business information between them. Commercial Diplomats can do that, respecting their well-know code of ethics and information management system. For a better development of the relation between diplomacy and business at national levels, a detailed research shall measure the degree of the business people’ satisfaction with the commercial diplomacy services but also how satisfied are the diplomats with the level of representation and delivering results from the SME’s. Apart from the declaration of European Union officials that they are ‘getting their acts together’ a real unification of all resources at the European Union level (including a pack of Business Diplomacy training) will help a lot the internationalization of European companies outside EU. There is no doubt that the transfer of know-how from diplomacy to business can not be done without a dialogue and close cooperation between the parties involved in globalization process, including but not limited to government, business and NGOs. Sooner the better EU countries need to start to do this exercise together and share the same aims and aspirations based on existing resources and capabilities. That will assure a better utilization of the existing resources and help EU companies expand together outside EU. There is a need for a EU commercial and business diplomats. Some governments have already created national kind of “know-how transfer incubators” to facilitate the cooperation between national actors that may work together in helping national companies to internationalize. It is the case of Sweden for instance, which organized the Swedish Trade Council and Business Sweden in a form of public-private-partnership to provide a set of services to Swedish companies to go abroad. The same happened in Romania, where the Romanian Export Council is a public-private-partnership, which is assuring the national export strategy design and implementation. Most of the countries in the world, and lately the union of countries, are looking to support their companies (both private and state owned) to Go International in order to increase the exports and, at the same time to attract foreign investors. The fight for markets, cheap resources but also for quality investors is evident. Although this may look like a business matter, it is also a state concern. State promotion budgets do not increase accordingly with the national economic growth targets, so the companies need to allocate significant own resources for internationalization and take new risks. International Companies need sometime to play a much active role in promoting first the origin country’s image and then their company’s profile, products & services and business proposals. Governments shall encourage the training in business diplomacy of the executive managers working in international companies and/or in local companies with international activities in home country, in order to be able to represent their businesses abroad as well as the local business environment in a positive but realistic way. With a proper training, these executive managers can multiply the governmental efforts in the promotion of their country’s image and opportunities. Moreover, governments need business people to advice them on different bilateral or multilateral negotiations like the Transatlantic Trade and Investment Partnership treaty for instance. It is difficult to say who initiated such treaties’ negotiation, the business community that needed new markets or the Governments looking for more taxes. It is very popular today, that Governments are asking the business community when making the SWOT analysis of such international treaties. The involvement of the private business sector in drafting and negotiating global treaties is Business Diplomacy in all senses. There is no other available term under which a business corporation has the opportunity to express their concern or point o view regarding such an important treaty with complex global implications on a long term. The fact that nowadays the governments advise with key business representatives is a proof that they need the feedback from the real economy. In order to issue a relevant point of view regarding state’s related matters like international economic treaties, business people need to be educated in this respect. They need to have knowledge about how international treaties works and last but not the least to be initiated in diplomacy matters otherwise their point of view is not relevant, can not be properly presented and/or can create confusion. Up to a limit, a bigger role of the corporations in designing countries’ economic policies is not necessarily a bad thing. Engaging business communities in the country’s management is very helpful for governments especially when the crisis come, and the economic engines need to be re-started. Globalization has a cost, and the question is who is to finance it? Apparently, globalization is less risky than anything else, as this is the trend. There is no way back from globalization – this is just a matter of time and the way it is done, makes it sustainable or not. One of the biggest risks to globalization is loosing legitimacy. If there will be legitimacy, then the global players will succeed on a long-term in their efforts. That may lead to the optimization of the use of resources at a global scale. If an international business look just to exploit the local resources and opportunities on a short term, will not succeed in “opening a new market” but in destroying it. From the international business perspective, the equilibrium can be achieved only if a predictable internationalization model will be found, which can give to companies an estimation (with some reasonable variations) of the costs and the benefits of going global. Global market stability and predictability is fundamental for a global business to behave “normally”, but that is not realistic today in international business. Global future prosperity depends on how successful advanced economies internationalize further and involve in their businesses the undeveloped communities, helping the poor to earn their existence through a work that has a decent place in a sustainable chain of business. In today’s unpredictable global business environment, international businesses do not know what is the cost of opening a new specific market vs. the returns received in a limited period of time, and nobody can guarantee that the investment is recovered and the profit will be generated as per the business plan. This is one of the reasons that international companies look for profit in short term from a cheap sourcing and try to sell as much expensive as they can. In the race of preserving the invested capital and making sure they gain profits, many business people think short term and sacrifice their presence on the long term in that market. Involving communities in some of the processes of globalization – with the aim to develop them not just exploit their resources, it is a must, if the businesses want their success to be sustainable. That will assure business with a natural legitimacy that will self finance on a long run the whole globalization process. At the end of the day, the globalization shall be financed from profits coming from the international business. The cost of going international is still quite high. If there is no profit in international business and/or the risk of internationalization is too high, then there will be no progress. Suchman (1995) defines legitimacy as “a generalized perception or assumption that the actions of an entity are desirable, proper, or appropriate within some socially constructed system of norms, values, beliefs, and definitions” (p. 574). Corporations involved in corporate diplomacy decide to satisfy a social public demand, rather than solely a market demand (Ordeix-Rigo & Duarte, 2009). Do the host governments communicate their “social” requests before the MNE to start operating in the new market? Are there all the market rules transparently communicated and applied by the host state representatives? Do they know what they really want? All those inputs are needed for an international business to prepare a realistic and sustainable business plan. The lack of clear inputs and the variables that appears on the way may determine and/or encourage a corporation to behave in a debatable way. In their efforts to attract foreign investors, the states sometime promote themselves as a source of cheap workforce and raw material without considering that in this way they attract something that they will blame after a period of time. Diplomacy is well known also for its codes of ethics and respect for other country’s rules and laws. Although there are public statements and international initiatives at some levels, Businesses do not respect entirely such codes and values, especially when going international. Bribery acts in order to get different kind of incentives and/or market access benefits as well as corruption are just two of the unlawful business behaviors that leads to the violation of human rights, fiscal evasion, environmental disasters etc. Business Diplomacy shall aim to bring an infusion of an international code of ethics in this respect and spread it throughout all stakeholders. Business Diplomacy can represent a general accepted round table and a proper environment for discussion between businesses, governmental, NGO’s and other global players and influencers. As Diplomacy is equally important for a small country as it is for a large one, Business Diplomacy should be of as much interest to a domestic company as it is to a Multinational enterprise. Diplomacy is utilized not only for expansion, but also for survival. Therefore Strategic Business Diplomacy may be used not only by large companies looking to expand their business globally but also by local companies and other business stakeholders looking to benefit from globalization of the large international firms. For example, the Strategic Business Diplomacy may be used by the multinationals looking to act in small countries but rich in natural resources, to find local allies to exploit the natural resources in partnership with local firms for all parties’ benefit. In the same line, a small company can use Business Diplomacy to become visible and be sub-contracted by a corporation that won a large international project. Actually, some of the multinationals and large international companies have already well understood that, and in order to touch both of the two above topics they started to organize the so-called “Sourcing Days”. Such Sourcing events, aim to spread in a specific business territory the opportunities that they can generate for local suppliers interested to participate in kind of “local tenders” for specific goods and services that the international business is looking to acquire. Giving a chance to local businesses to develop the business and sell their products and services to a multinational is well appreciated by local governments and authorities and, can represent an entry ticket to the market paid in a different way by the multinational. It is not just about paying market entry fees in a way or another but the most important result is the integration of the local businesses in global business chains of values, which assure a sustainable growth and evolution of the small businesses accordingly with the big trends. Romanian companies looking to expand internationally in the present rapidly evolving global business environment, need to be better informed and to address new risks, including but not limited to the geopolitical ones. The use of Business Diplomacy is definitely a must for a successful internationalization process and economic sustainable development but also for companies looking to develop long-term relationship with their own government. Long-term relationship oriented nature is an important characteristic of Business Diplomacy and this shall be clearly understood by companies when investing in internationalization (the benefits do not come over night). Internationalization takes time, cost money and, is successful and sustainable if professionals manage it. NGO’s like Chamber of Commerce (domestic and bilateral ones), business associations and recently clusters and other different kind of business related non-governmental and non-profit associations (Rotary, Lions, BNI – Business Network International) interact on behalf of their members, with different governmental and non-governmental stakeholders. The purpose of their activity is to promote the business interest of the association and their members both in the host country but also internationally. The role of such NGO’s, especially in the internationalization of small and medium enterprises is crucial. A small company does not have the power to go international by themselves and they use to join business delegations and trade missions organized by such business associations, which are already connected in international business networks and can facilitate quality business contacts at decent costs, and can assure the basic support during the preliminary discussions. The business NGO’s are very often asked by the global companies looking to expand, to provide them with business information, introductions to their members and last but not the least to make lobby at different levels. Representatives of such business NGO’s are part of the governmental consultative committees, which decides on governmental policies, including but not limited to fiscal policy, custom duties, investment incentives etc. Their activity cannot be included as economic or commercial diplomacy as they are not official representatives of any state. They definitely act more under the Business Diplomacy umbrella than under the Corporate Diplomacy one. Business diplomacy can be met even in the relationship between a local company and an NGO representing for instance the foreign investors in that country. Foreign Investors Councils are often managed by former diplomats – who are not easy to be found by a local company’s representative. Romania does not have a strong tradition in any kind of expansion, including the economic one and therefore the internationalization of the Romanian companies is a real challenge especially talking into consideration the fact that our capitalism is dated 25 years ago. However, in order to survive in our geostrategic location Romania needed to develop well-known diplomatic competences. Business Diplomacy is a new term and concept in Romania and needs to be carefully explained to avoid the confusion with Economic, Commercial and/or Corporate Diplomacy. That comes mainly because the Romanian free market economy is quite young as 25 years ago Romanian economy was entirely owned by the state, and the promotion of the business outside the country was done before exclusively by state representatives, for state owned companies’ benefit. At the beginning of the transition period from the state owned centralized economy to the free market and private capital, it was very difficult for Romanian authorities to understand and accept the need to promote the private owned companies at the same intensity like the state owned ones. The problem went out very sound when we all realized here in Romania that the state do not own almost anything in our economy. Not even the resources. It took some time for our economic attaches to understand that they need to work for private companies and even more, for foreign private capital invested in Romania. Recent analysis of the economic evolution of Romania from communism and state owned enterprises towards our free market economy today, reveals that 83% of the Romanian registered companies’ turnover is made by foreign owned companies. The huge majority of the Foreign Ownership in the Node Companies of the Main Markets in Romania is a reality. In most emerging economies governments have an important role in the economy, but due to the above-mentioned facts, the Romanian state is reconsidering its role in the economy. Romania has privatized to foreign capital even the so-called strategic industries such as telecommunications, oil, gas, electricity, water supply and the examples can continue, and therefore the state is not anymore a shareholder in the Romania’s economy. The beneficiaries are MNE’s and also surprisingly, other foreign state-owned companies. From the Top 100 Romanian foreign owned companies, 32 of them register constant losses in their annual financial reports, although none of them intend to close down their business in Romania. What are the relationships of the multinationals with the Romanian’ state bodies and the other actors of the domestic business community? There is large debate in Romania for some time, if that was good or bad, and if that happened in an ethical and responsible way. Most of the decisions in those newly privatized companies are now taken outside Romania, local Romanian owned companies which aim to continue work as subcontractors are complaining that they are not even considered anymore as suppliers to former Romanian state owned companies as the new management prefer to make the acquisitions of the sub-furniture from their origin country at higher prices (from here it raise up the suspicion for profit expatriation and tax avoidance). Although about 83% of the Romania’s economy is owned by the foreign capital, by the law, the Romanian’s state representatives need to support the companies registered in Romania’ s territory. Even if the state institutions and representatives are open to promote a foreign owned company, it is not realistic to believe that a state employee paid with 600 Euro a month will promote successfully at international level the interests of a large corporation. Definitely, not at the standards required by the international company. 70% of the Romania’s exports are made by foreign owned companies, in some cases to niche markets and countries that not many Romanian owned companies could have access to. Certain know how have been assimilated by Romanian employees and local companies in this process. Just few of those facts and figures stress out the importance of multinational companies in the Romanian’s economy but also in the process of globalization of the world economy. The Romanian state needs to adapt and find export promotion and economic development policies that will stimulate a sustainable growth of both local companies and multinationals. Most of the Romanian companies interested to explore the international business use commercial diplomacy services when they participate in a trade mission or when they rent a boot to an international foreign trade fair. Romanian Commercial Diplomats directly facilitates the internationalization process of Romanian companies and brings the entrepreneurs (both local and multinational corporations registered in Romania) into contact with other international companies operating in potentially interesting markets. The export promotion professionals who organize trade missions help Romanian based companies to overcome barriers to internationalization by introducing them to potential partners in foreign markets and by letting them observe those markets themselves. Even sub-national actors such as provinces, municipalities and cities have now become diplomatic actors, representing themselves and communicating with the international system, a phenomenon also referred to as ‘paradiplomacy’ (Keating, 1999). Both from the diplomatic and international business perspectives, the representation level of the sub-national actors is poor in Romania although there is huge economic unexploited potential there which can be put in light at the fair value, with a proper level of business diplomacy knowledge. Local business representatives in charge with international relations, which interact with the international businesses looking to expand, are in a visible inferiority due to their lack of international experience and diplomatic knowledge. Lobby is declared an illegal practice in Romania. Multinational companies are definitely using International Business Diplomacy tools and resources when entering the Romanian market, extending the business lines and last but not the least getting different kind of incentives from Romanian Government and local authorities. For most of the Romanian local businesspeople, (National) Business Diplomacy is not something that they have had to think very much about in their business lifetimes, but there is a real need for training in this matter. The business community representatives require the development of a National Business Diplomacy Centre in Romania. Such Centre shall be part of a global network sharing international best practices based on local economic competences. Business Diplomacy is the way that international business uses the diplomatic know-how and Commercial Diplomacy’s resources, to achieve business goals. We wish those goals to be sustainable and achieved on an ethical way and for all parties benefit at a global scale, but just including them in a definition do not give any guarantee that will be taken into consideration by businesses. The above definition is not a scientific one, but one that came out from practice and actual reality. Business Diplomacy needs to be used by multinationals as well as by domestic companies (to gain foreign market access and international expansion as well as attract – from a private perspective, foreign business partners and firms investing in the home country). Business Diplomacy cannot evolutes without access to Commercial Diplomacy’s resources. 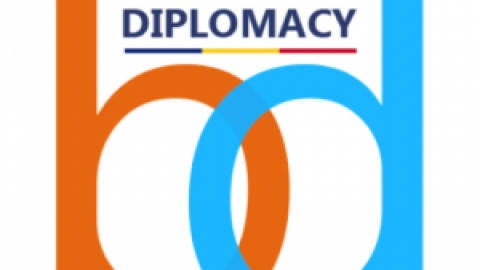 Global issues like climate change, building sustainable economies, and poverty reduction need to be addressed by the global players through Business Diplomacy instruments: companies, governments NGOs and other interested groups, need to find a closer communication in order to identify applicable solutions. 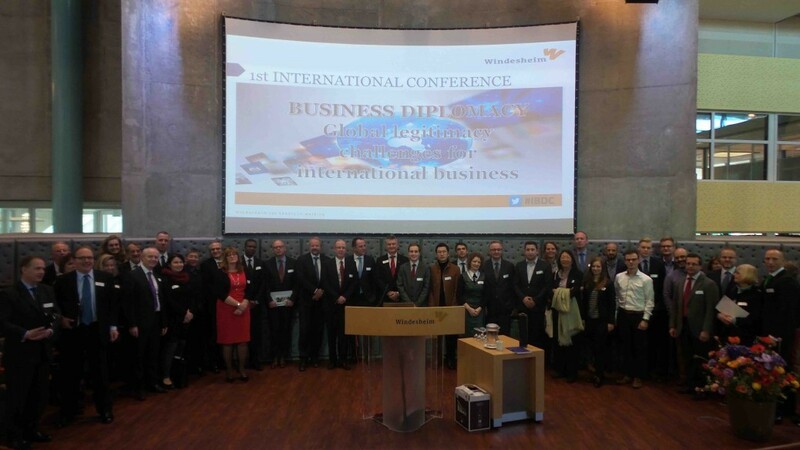 From the multinational perspective the focus of Business Diplomacy is to “establish and sustain a positive relationship to maintain legitimacy and a license to operate” Chapter X: Business diplomacy 2014 Huub J.M. Ruel – Tim Wolters From a host country / local company’s perspective, Business Diplomacy can help in attracting quality international business partners and investors which can assure the business development and integration in global business chains. – Find global cooperation mechanisms between the actors involved inbusiness diplomacy: foreign governments and non-governmental stakeholders, small and medium-sized firms, international and multinational enterprisesBusiness Diplomacy shall aim to develop its own international code of ethics and practice.Business Diplomacy shall not refer only to Business and Diplomacy but shall be developed as a global window, which will allow the two-way transfer of information and economic concepts that will help different business stakeholders to better communicate, negotiate and build sustainable global business. The United Business Agency is an innovative global business matchmaking platform, providing market entry services, market research and advisory services.